posted on Wednesday, July 15, 2015. 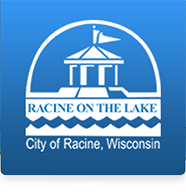 The City of Racine Health Department, as an agent of the State of Wisconsin, is responsible for the inspection and licensing of all restaurants, taverns, caterers, hotels, motels, and public pools within the City. The City of Racine offers a wide variety of food through its many restaurants and other food service providers, and in order to enjoy these foods, we must be confident that the services are safe for both residents and visitors.